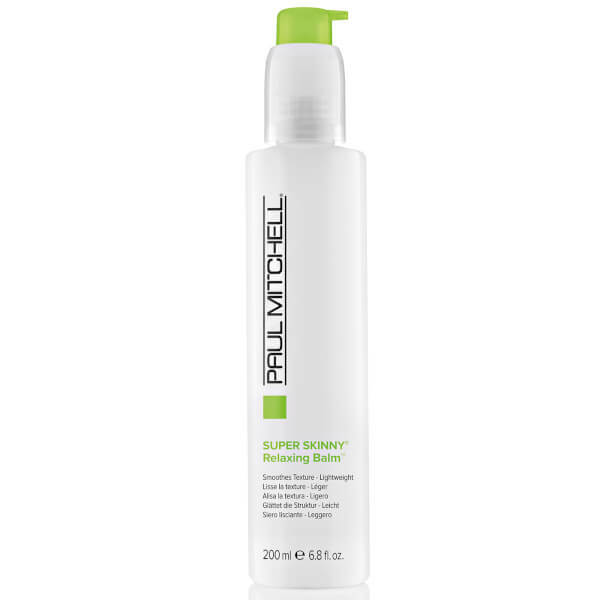 Paul Mitchell Super Skinny Relaxing Balm: Smoothes and conditions. Wheat and vegetable proteins team up with conditioning ingredients to moisturize hair from within, protecting locks while leaving them soft and silky smooth. Resists humidity - A unique, humidity resistant ingredient provides incredible memory that lasts in any weather, creating an ideal foundation for heat styling. Saves time - Skinnier strands make heat styling a cinch. 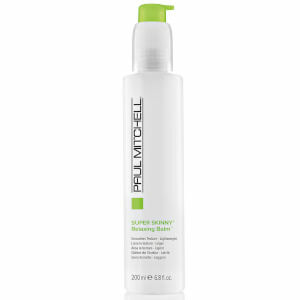 The exclusive Super Skinny Complex displaces water and constricts every strand for reduced dry time and speedy styling.